We all know the feeling. 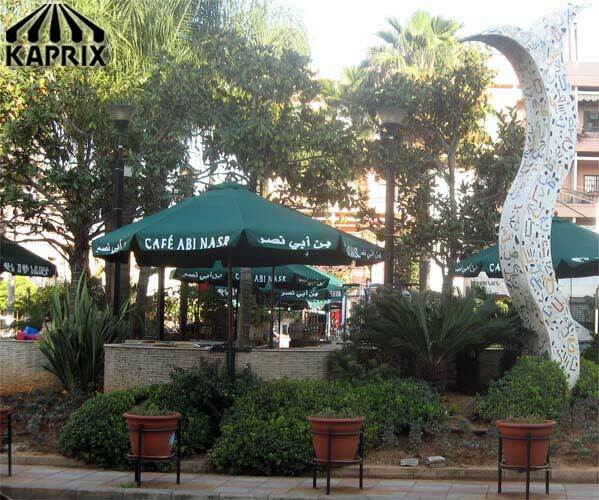 You are passing a beautiful, sun soaked afternoon at a lovely sidewalk café, sipping iced tea or cappuccino in a sedate, relaxed atmosphere. And somehow this scene would not be quite complete without the sheltering presence of a beautiful and highly useful umbrella hovering over the table. 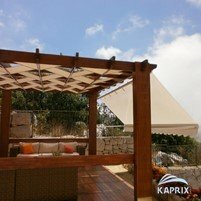 If your concept of umbrellas conjures images of those small, compact weather shields that you carry with you on rainy days, then you need to take a look at the commercial umbrellas up for offer at Kaprix. 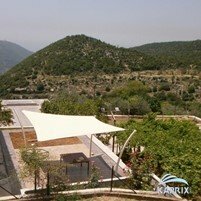 These coverings are stable, dependable and endlessly sturdy; more than that, their beauty and elegance no doubt will add to the look and ambiance of your business or, for that matter, to your formal dinner parties and casual neighborhood get together. 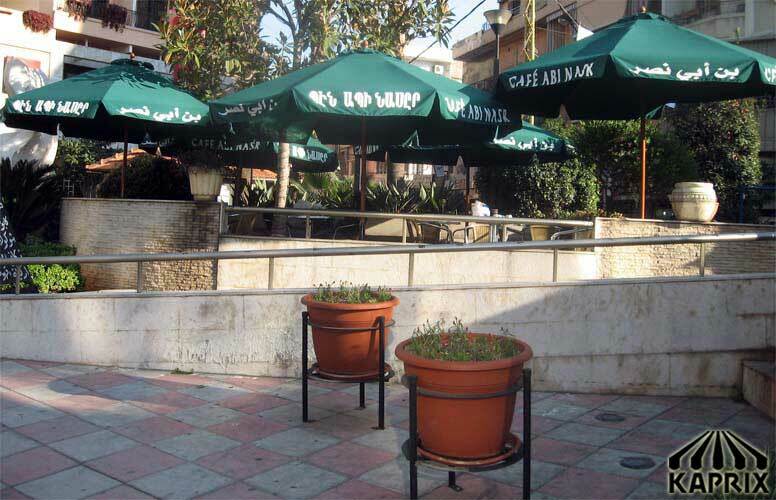 Meant to cover and shield outdoor tables and chairs, whether they are situated outside cafes, at open air restaurants, or even at private homes, these attractive, expansive coverings serve to protect patrons, either individually or in groups from the sun and the heat, the wind and the rain; also preserving any food and drink they might choose to buy at your establishment. 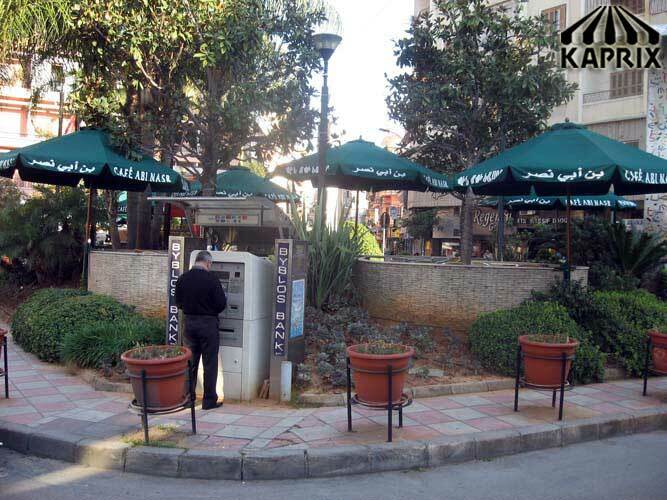 Much more than that, they add a touch of class and distinction, even glamour, in the eyes of many people, to any common, business or private area. 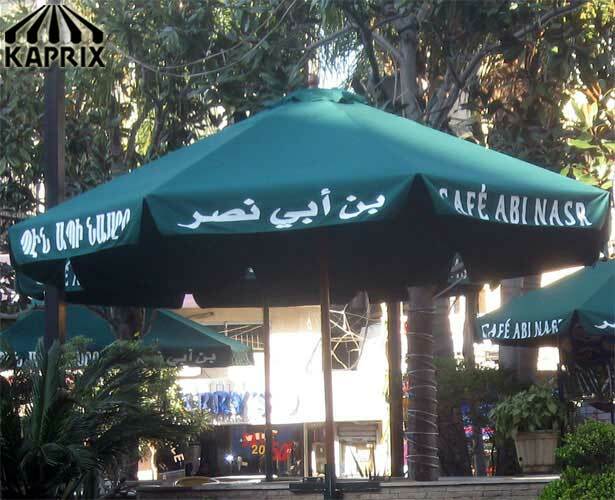 Available in a vast variety of styles and colors, these commercial umbrellas also can be personalized to reflect the name of the restaurant, café or other business that trusts these invaluable coverings to shield their best customers so that they can stick to them. 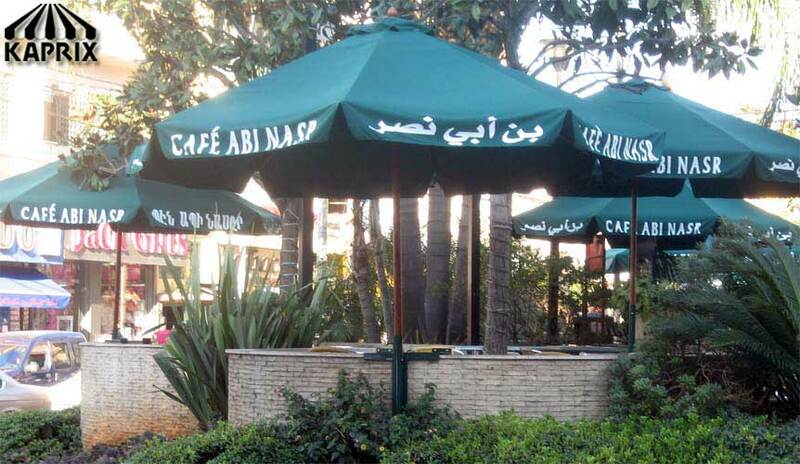 These umbrellas also come complete with a surefire is guarantee of prompt installation, exceptional service and quality components. 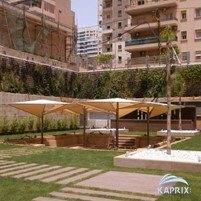 So if you truly want to know and see the difference between standard umbrellas and commercial umbrellas, then look no further than Kaprix.